The library of Mastercam Training Solutions we publish grows every year. Our full-time TechDoc team, comprised of Mastercam Specialists & Trainers, has been at it longer than anyone else in the industry. Our mission is to provide quality tools accessible to anyone who wants to learn or teach Mastercam. An eMastercam subscription will grant you access to ALL of our online resources, including our full library of eBooks and eCourses. 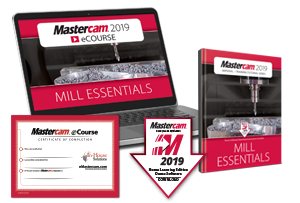 Once you are subscribed you will be able to watch all of our streaming eCourses in your browser or read any of our Mastercam eBooks using our Webviewer. One month, four month and 12 month subscriptions available. We offer four primary book series that cater to different styles of learning. Each print title includes demo software we refer to as the Mastercam Home Learning Edition DVD (HLE). Every print title we offer is also available as an eBook – which can be read in your browser or downloaded as a protected pdf. The main benefits include instant download, search & bookmark functionality, as well as colour screenshots. Each eBook title includes a Mastercam demo software download. For schools wanting to go digital, we offer eBook site licenses which grants access to an eBook from any workstation on campus for unlimited users, at an affordable price. 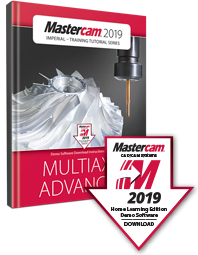 Expand your Mastercam knowledge, anytime and at your own pace, with a new selection of step-by-step online video eCourses from In-House Solutions. 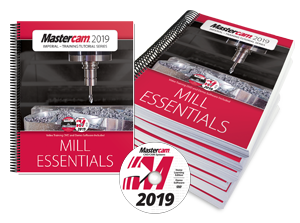 Mastercam eCourses provide both novice and seasoned Mastercam users with the tools and information they need to excel in four different subjects; Mill Essentials, Mill Advanced, Lathe, Multiaxis Essentials. Each eCourse includes online tutorials and quizzes designed to expand and test knowledge along the way, a corresponding eBook, a download of the Mastercam Home Learning Edition/demo software and a certificate of completion at the end of each eCourse. For visual learners, there is nothing like having one of our expert trainers show you the steps to follow, while giving a little extra explanation along the way. We have updated our multimedia package to offer you the entire Video Training Series on one handy USB 3.0 flash drive, packaged in a silver tin box. All of our titles are available for purchase through the store at www.emastercam.com. 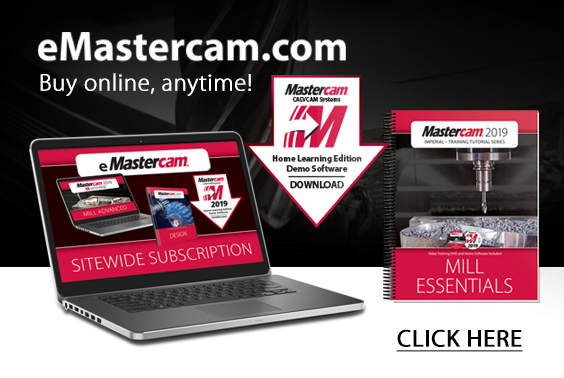 Our Mastercam Training Solutions are also sold through the Mastercam Reseller Network.